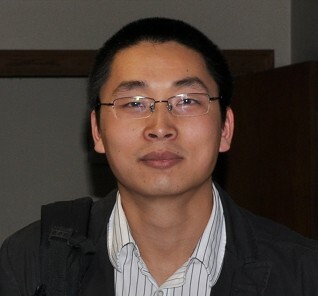 Zhenkun is a Research Scientist at Strategic CAD Labs, Intel Labs. He was a Ph.D student and research assistant in System Validation Lab at Portland State University, where he worked with Prof. Fei Xie. He received his bachelor's and master's degrees from Wuhan University of Science and Technology in 2005 and 2008. End-to-End Concolic Testing for Hardware/Software Co-Validation. Bo Chen, Kai Cong, Zhenkun Yang, Qin Wang, Jialu Wang, Li Lei and Fei Xie. To appear In Proceedings of the 15th IEEE International Conference on Embedded Software and Systems (ICESS 2019), Las Vegas, Nevada, June 2-3, 2019. Bo Chen, Christopher Havlicek, Zhenkun Yang, Kai Cong, Raghudeep Kannavara and Fei Xie. In Proceedings of the 21st International Conference on Fundamental Approaches to Software Engineering (FASE'18), Thessaloniki, Greece, April 2018. Bin Lin, Kai Cong, Zhenkun Yang, Zhigang Liao, Tao Zhan, Christopher Havlicek, Fei Xie. In Proceedings of the 19th International Symposium on Quality Electronic Design (ISQED'18), Santa Clara, CA, USA, March 2018. Zhenkun Yang, Kecheng Hao, Kai Cong, Li Lei, Sandip Ray, and Fei Xie. In Proceedings of Design, Automation and Test in Europe (DATE'16), Dresden, Germany, March 2016. IEEE. Bin Lin, Zhenkun Yang, Kai Cong, and Fei Xie. In Proceedings of The 21st Asia and South Pacific Design Automation Conference (ASP-DAC'16), Macao, China, January 2016. Kai Cong, Li Lei, Zhenkun Yang, and Fei Xie. In Proceedings of International Symposium on Software Testing and Analysis (ISSTA'15), Baltimore, Maryland, July 2015. Li Lei, Kai Cong, Zhenkun Yang, and Fei Xie. In Proceedings of International Conference on Computer-Aided Design (ICCAD'14), San Jose, CA, USA, November 2014. Scalable Equivalence Checking for Behavioral Synthesis. Zhenkun Yang. SIGDA Ph.D. Forum at Design Automation Conference (DAC'14), San Francisco, CA, USA, June 2014. In Proceedings of 51st Design Automation Conference (DAC'14), San Francisco, CA, USA, June 2014. In Proceedings of Design, Automation and Test in Europe (DATE'14), Dresden, Germany, March 2014. Compiler Transformation Validation in Behavioral Synthesis. Student Forum (poster + 5 minutes talk) of International Conference on Formal Methods in Computer-aided Design (FMCAD'13), Portland, OR, USA, October 2013. Zhenkun Yang, Kecheng Hao, Kai Cong, Sandip Ray, Fei Xie. In Proceedings of 31st IEEE International Conference on Computer Design (ICCD'13), Asheville, NC, USA, October 2013. Zhenkun Yang, Kecheng Hao, Sandip Ray, and Fei Xie. In Proceedings of 50th Design Automation Conference (DAC'13), Austin, TX, USA, June 2013. Automated Synthesis of Passive Analog Filters Using Graph Representation. Zhaohui Gan, Zhenkun Yang, Tianyou Yu, and Min Jiang. Expert Systems With Applications, 37(3), 1887-1898, March, 2010. Automatic Synthesis of Practical Passive Filters Using Clonal Selection Principle-Based Gene Expression Programming. Zhaohui Gan, Zhenkun Yang, Gaobin Li, and Min Jiang. In the 7th International Conference on Evolvable Systems: From Biology To Hardware (ICES'07), Wuhan, China, 2007.